Oslo is the 30th greenest capital in the world with 20.49% of green areas and 39.05 square meters of green areas per person. Index of Green Cities 2018 by TravelBird has found the greenest cities for eco-conscious travelers. The results of the study show the cities that make the most effort when it comes to sustainability by preserving ecological areas, but also those cities that introduce new measures to the improve quality and quantity of man-made green areas. With its 410.84 meters of green spaces per person, Reykjavik in Iceland is the greenest city, while Prague in the Czech Republic is the number one city with the largest percentage of green areas, according to the index. The city consists of almost 57% public parks,forest areas, nature reserves and agricultural areas. 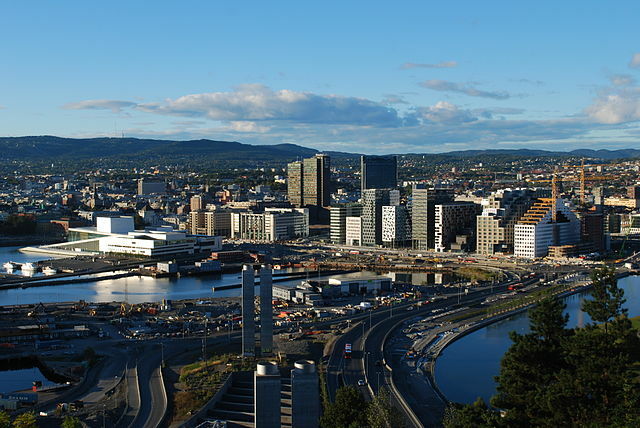 On the list, Oslo ranked 30th among 50 capitals. Norwegian capital has 39.05 square meters of green areas per person and 20.49% of the city consists of green areas. When it comes to man-made green areas, Oslo is ranked lower on the index. and the lowest number of square meters per person. ● Auckland, New Zealand has the highest percentage of Forest, 33.59%, and most square meter of forest per person, at 288.89 m2. ● Rome, Italy has the highest percentage of Nature Reserves, 30.3%, and Reykjavik,Iceland has the most square meters of Nature Reserve per person, at 223.21 m2. ● Paris, France has the highest percentage of park areas, 21.7%, and Sydney, Australia. The index by TravelBird studies the largest OECD countries, and the 50 cities; with a focus on popular travel destinations. The study then analyzes areas within each urban boundary with three main categories of green areas; Natural, Man-Made, and Food Production. Within each category there are different green areas that include forests, public gardens, parks, golf courses, orchards, vineyards and farms. TravelBird is a web-based travel company offering a varied selection of holiday and travel experiences, from local experts, and at an exceptional price.